Edited 3 time(s). Last edit at 06/10/2017 11:41 by Grockle. Thanks for this beautifully balanced and positive piece Grockle. Lots to feel good about still. I think there are many of us who are very concerned that a way will be found to consign us to Division 2, but at least this article made me feel, so what? If they screw us, possibly today, we'll just be back anyway probably stronger. You are probably right and as we can do little about it if they do we'll just have to keep '...bu99ering on...' I suppose. At least we'd go into it knowing what it would have felt like had we saved ourselves. Edited 1 time(s). Last edit at 29/09/2017 08:47 by Grockle. I dearly hope we are not shafted as that would just destroy the memory of yesterday and any faith in the authorities for me. As see it, you have covered all bases for the 2017 season. Quite an achievement so soon after the season has ended. Nah... CJM someone will find one I've missed. Well said, Steve and well written , Grock. You have said things that needed saying, and said them with humanity and more insight than many of us have. As always at season's end, thank you for keeping this site going. There are times we all get frustrated but particularly for exiles it keeps us in closer touch. I miss Mike TA1's photos although I understand why they can no longer appear. Just posted to Mike on that very subject Bobstan. There must be a way of sorting that but I haven't worked it out yet. I am having trouble keeping up with all the post and have only just read this thread. Yep, always a big thank to Grockle (Paul) in keeping this site going, without it Somerset Cricket Club would be a lot less informative on cricketing matters. Somebody once said to me the Grockle web site is free advertising for the club. If SCCC or anyone else wants to contribute, anonymously of course to our upkeep we're not proud. Ithink we ought to get in on the Tractor 'one off' T shirt business myself. Why is the thread title for 2016? Because it was 'interesting,' too? Yes, Mr Maynard said as much. Yep very true Tom. I told CJM somebody would pick up on the ones I missed. They certainly need our thanks. No idea why its 2016 (won't be for much longer). Maybe doing it while half asleep on a whim perhaps. Thanks for pointing it out. I said Daz would be back. I didn't say he'd be working here and I didn't say it would be soon. I think what he does is pretty much up to him and I'm sure if he wants to make another bed to lie on he will so I'm not sure he'll be interested in YO. Edited 1 time(s). Last edit at 29/09/2017 14:25 by Grockle. Thanks again, Grockles, for keeping this site going for yet another season (a 15th in my case), withstanding rather too many cross-bowed arrows aimed in your direction, and for your generous comments on players, officials, backroom staff and supporters. 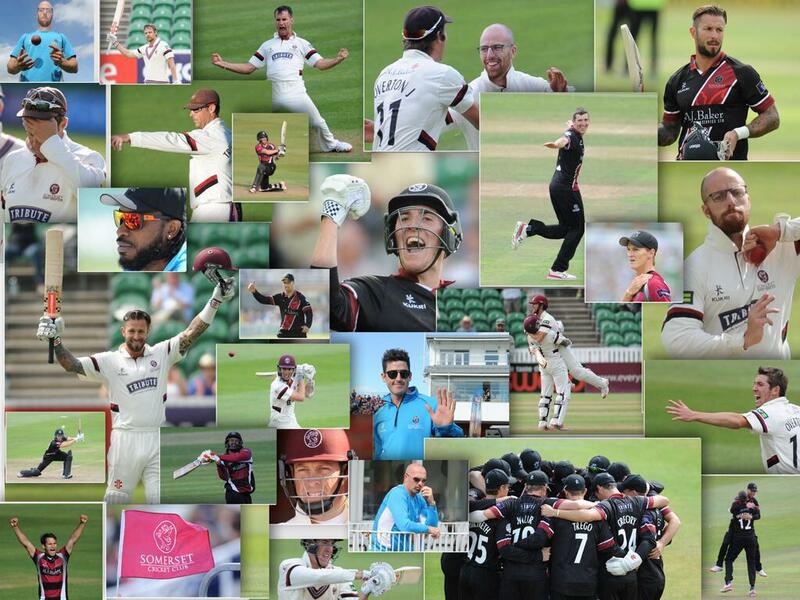 I would like to add my special tribute to two players in whom some of us never lost faith and who made major contributions to our success in the second half of the season after suffering from poor form in the first: they are, of course, Trescothick and Hildreth. Well said all, and thanks to Grockle for an excellent summary. Sincerely hope that the Championship outcome was determined on the field yesterday, and won't be decided elsewhere in the days/weeks to come. Very well put, Grockle. I'd like to echo the thanks which others have expressed for all your hard work in keeping this site going. I'd also like to thank Farmer White for his wonderful pieces. A great cricket writer needs have a love and feel for the game, its players and followers, good observational and analytical skills and a felicitous use of language. FW has all these characteristics and more. I should also like to thank wsm fan for his unstintingly positive and supportive posts - which have certainly cheered up me and, I suspect, others. 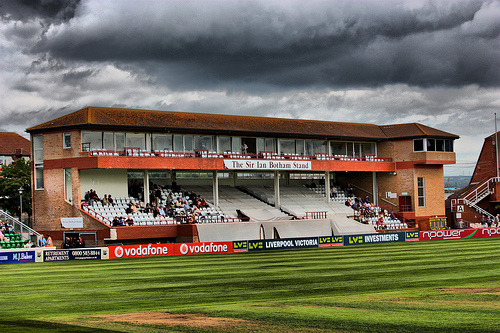 Finally, I thank all those with whom I have sat and enjoyed matches - at Taunton, the Oval and Chelmsford - for their company, conversation and friendship. Every word of Wickham's post goes for me too - thank you one and all. Well, not every word - the last sentence doesn't apply to me - I only got to one day of Somerset cricket in 2017, Roussouw's thrashing of us in the 50-over game back in, I think, May. Hoping those currently unwell swiftly recover, and to see more of the team and supporters in 2018. Just surfacing after a week meandering between Cardiff, Salisbury and Minehead. Saw a Justin Hayward concert in Cardiff. He joined the Moody Blues, and is still with them when they do their occasional tours, in 1966 a year before Somerset's first Lord's Final. 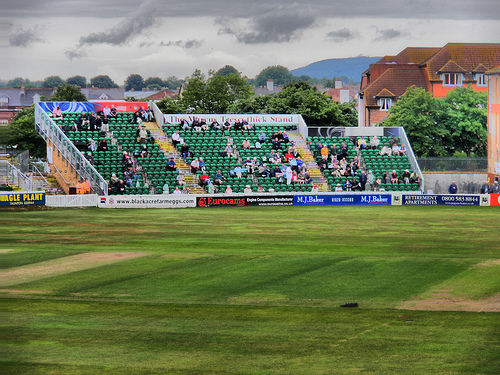 Somerset came third in the Championship in 1966 and England won the world Cup at Wembley. Five of the top eight Counties in the Championship that year did not play at Test Grounds nor have they acquired that status since. Different world. Same songs. However I digress, if it is possible to digress before you have started. The main purpose of this post is to thank Grockle. Firstly for listing me with the team and other Club staff at the head of this thread although since I do not score a run, take a wicket, hold a catch or do anything to coach or support those that do I am not sure I quite warrant being in that batting order. Above all I would like to thank Grockle for the constant unseen work he must do to maintain this site. I have no idea what it entails for I am not technically minded but I do know from someonre who once had a cricket blog that being responsible for anything like this involves continuous effort month in month out. Without that work my posts would never have been written. Thanks to Wickham too for his very kind words, to Shepton for echoing them but in truth I only reflect my impression of what I see and hear. What takes the time and delays the posts more than I would like is finding the right words and getting them in the right order. I really should sign them off 'Farmer White and the Thesaurus'. 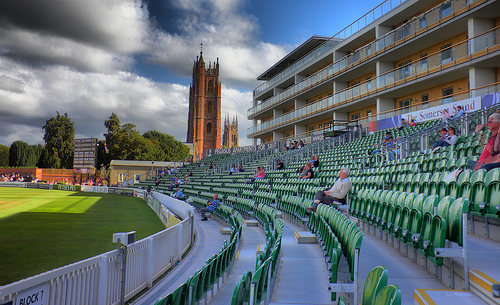 Perhaps next year, for already as I sit here behind glass bathed in the warmth of the October sun pouring over the Blackdowns I am thinking June in the Trescothick Stand. 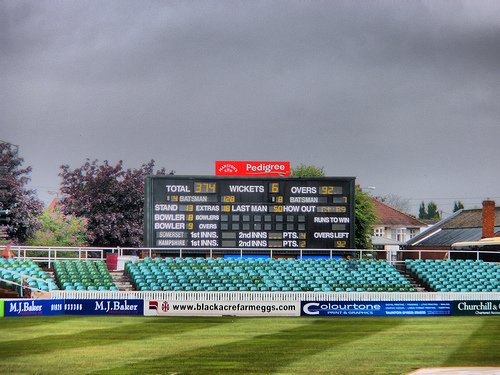 Because of the deafening silence by the ECB on the problems caused mainly by 25% of division one teams being relegated at the end of each season, many of us believe there will be some sort of change in the structure of the two divisions next season to keep Middlesex in division one thus keeping the people happy who are causing all the fuss since the season ended. 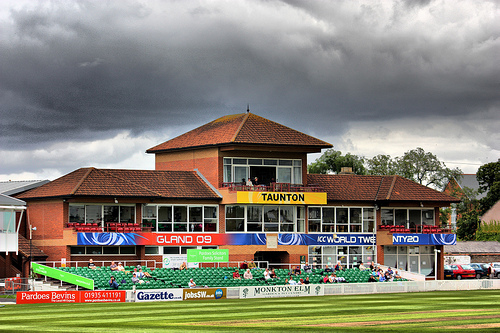 As a newcomer to this site in terms of posts, although having followed it for quite a time, it is impressive in terms of debate, argument, general cricket knowledge and specific Somerset CCC knowledge. So well done to all those who contribute and obviously Grockle who does an enormous amount of work to keep it so good. Having seen all home Championship matches except Essex and Middlesex, being in Oz both times and a couple of away matches means the site has been a good way to keep up with stuff. Farmer White, your daily reports deserve a wider audience, they are excellent, both informative and amusing. Many thanks. If you like Justin Hayward, FW, then he is appearing in Sydney on the 18th or 19th of October I noticed today when walking through Sydney. You might need to meander a bit further afield to do that though! Having spent my childhood in the centre of the Blackdowns where you are now I’ve certainly meandered! Have a good winter! Don't have to do much. The quality looks after itself and the odd bitteŕ old lag who thinks you have to watch for over half a century before you appreciate the true failures of SCCC are no real opposition for the people who understand change and the demands of the game in the 2ist century. Time marches on and we'll be here for Year 24. I was at school with Justin Hayward( 2 years below me)he used to do mini concerts in the school hall after lunch and was brilliant then. Still brilliant now Geordie and still has the voice. The Days of Future are not yet Past. And saw Ralph McTell in Exeter on Sunday and the same applies. Not many can play ragtime on a guitar. Anyone go to school with him? Edited 1 time(s). Last edit at 10/10/2017 12:23 by Farmer White. I didn't know Ralph was still touring. Did he sing Kew Gardens, FW? I saw him live in Camberley a few months ago, very much still touring - great gig. No Bobstan, no Kew Gardens but the ones that immediately spring to mind are 'From Clare to Here', 'Around the Wild Cape Horn', 'The Setting', 'Bentley and Craig', 'Streets of London' of course and that amazing piece of ragtime. The ninety minute set was over in the blink of an eye.